Science Happens Here is a game for kids in 3rd through 8th grades that includes collecting trading cards with science knowledge on them. The game is designed to engage kids to better understand the science that surrounds them everyday! 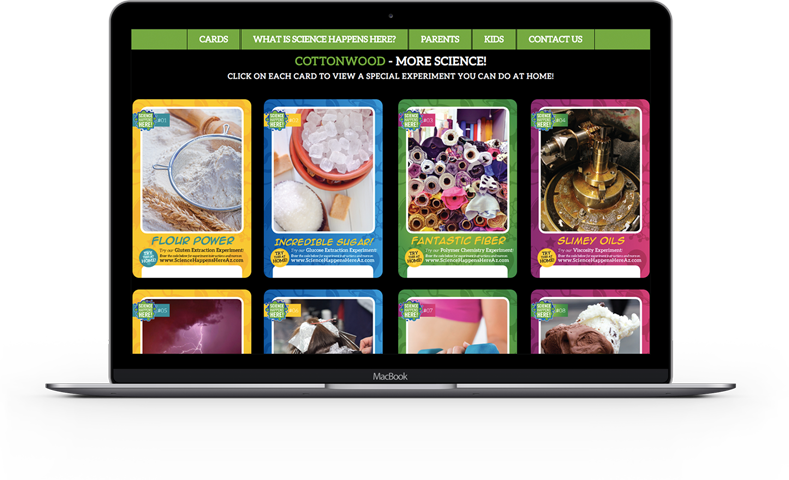 Kids collect the cards at local businesses (no purchase necessary) and visit the website to conduct science experiments at home using household items. For more information or to view the trading cards, visit the program website at https://sciencehappenshereaz.com.